A vocation for men and women, married or single, who follow Jesus in the footsteps of St. Francis of Assisi. 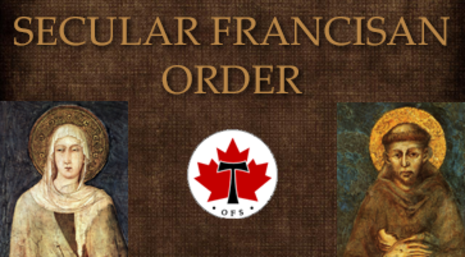 An Apostolate of, The Little Flowers of Saint Francis Fraternity of the Secular Franciscan Order. St. Peregrine is recognized as the Patron Saint of Cancer Patients and Other illnesses. St. Peregrine's Feast Day is celebrated on May 4. If you have friends/family members with cancer or other illnesses we will add them to our list and pray for them & their family daily. We meet once a month and pray together.